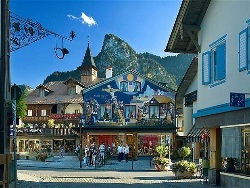 The “Passion Play” performances in Oberammergau, Germany will run May thru October in 2020. 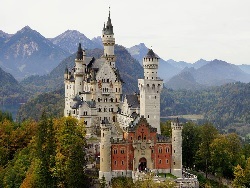 Europe is anticipating a half million visitors for this spectacular event, which occurs only every decade. The highlight for most on this unforgettable journey will be the “The Passion Play”, but the sights we will see along the way will not be soon forgotten. We will begin our tour with a village walk in the alpine foothills of Einseideln, Switzerland and visit to Einseideln Abbey, a Benedictine monastery referred to as “the most important place of pilgrimage dedicated to the Virgin Mary in Switzerland”. Since the Middle Ages, the Graces Chapel and a statue of the Black Madonna have been the centerpiece of the pilgrimage. From there our journey continues to Lake Lucerne and through the Swiss Alps. Generations of tradition and natural beauty of the Swiss Alps is unique. 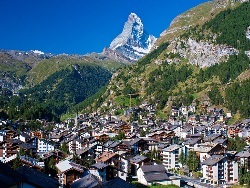 Landscapes are dotted with Swiss Chalets adorned with flowers along with rolling green pastures with grazing Swiss cattle and fresh alpine air. Although there will be MANY highlights of this tour, we can tell you from past experience that the “Passion Play” performance itself is certainly worth the trip. We have attended performances in 2000 and 2010, and it is difficult to explain how it moves you. When we first experienced it twenty years ago, and again ten years ago, we knew we would be coming back again in 2020. We hope to introduce you to this memorable experience. We anticipate there will be some alterations to our “Proposed Itinerary”; however, we feel confident we will be able to provide the attractions we are proposing. Our “Proposed Itinerary” is very detailed, and will be altered as time goes by based on the pending confirmations we receive, as some of the times may change. We have estimated a total package price for our tour based on projected 2020 pricing to the best of our ability.